Creating Christmas newsletters for our customers!!! 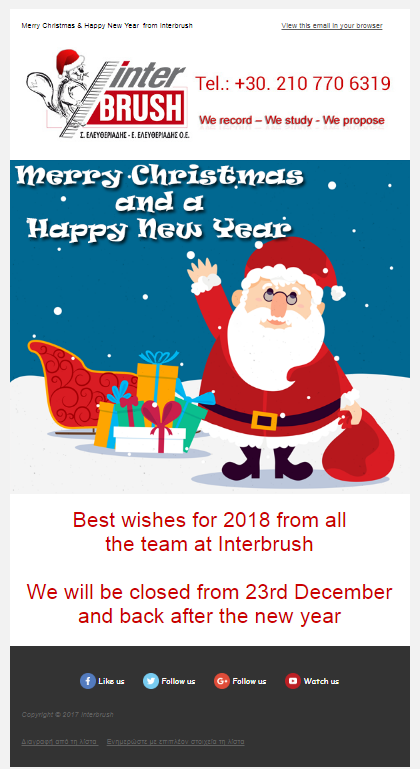 Interbrush wishes to their customers and partners happy new year and a merry Christmas!! !